You can use this special Bees Wax mixture on any wooden piece. 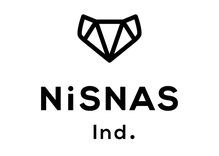 Originally made for Nisnas Industries wood tumblers, you can us it on furniture and furnishings of any kind no matter what their age. You can also use it on marble so it’s perfect for antiques and fine furniture. The wax has a hint of honey to it and it helps seal the wood you work on and make it more supple and durable. You get 100 Ml per tub and it will last a good long time because even a small amount of this spectacular polish can accomplish a lot, so don’t worry you don’t have to apply a lot to see the effect. Apply Beeswax Paste to wood surface using a soft cloth, No. 5 Premium Steel Wool and/or Furniture Brush. Allow to dry. Drying time will be determined by environmental conditions such as heat, cold and humidity. After Beeswax has dried, buff with a clean soft cloth and/or brush. Buffing with a hand brush is helpful prior to buffing with a cloth. Using a drill brush will expedite the buffing process. Additional coats of Beeswax may be required on particularly dry woods. Apply a fresh coat of beeswax paste as needed. For additional wax protection, particularly table tops, we recommend the all-natural furniture polish, Patina Protector for regular maintenance. Patina Protector is the only product on the market recommended for maintaining a wax finish. Safe to use on any wood finish! While this polish does leave a slight residue behind, it can be easily and swiftly removed.